Our client, a dynamic, forwarding thinking energy company, seeks a Smart Homes Innovation Manager to join their team. 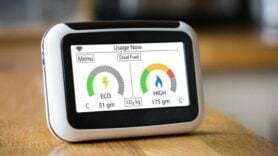 Reporting into the Retail Director, the Smart Homes Innovation Manager is responsible for the development and launch of a ‘smart home’ offering that is both attractive to consumers and commercially viable, integrating smart home technology with energy storage/generation. He/she will be accountable for all stages of new product development from market assessment, understanding customer demand, market sizing and proposition development, through technical development, testing and launch, and then post implementation review and benefits realisation. The role will require significant cross team working and influencing, including various Retail teams, the Commercial team and Technology team, and also the development of effective, commercially sound relationships with 3rd parties. The role is based in the Southwest of England. The salary is competitive with an excellent benefits package and work environment. If you are interested, please get in touch with Karam on 0207 448 8599/ [email protected].